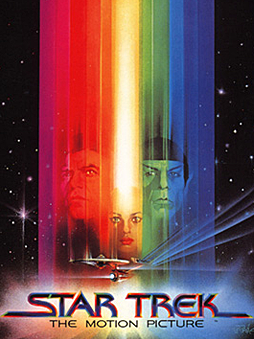 Even me, who figures anything with the words “Star Trek” in the title MUST be good, has to admit that the first Star Trek movie was long, sloooow and generally underwhelming. But when I sat down recently to watch 1979’s Star Trek: The Motion PIcture again for the first time in decades, I was struck by the plot and how it speaks to the human condition right now. Admiral James T. Kirk busts himself down to captain in order to retake command of the Enterprise and help the United Federation of Planets fight off a truly gigantic threat. The threat is called “V’Ger” and eventually Kirk and company find out it’s a 20th-century Earth space probe believed lost. But it wasn’t lost; an alien race figured out its mission — to gather information, then return to its creator — and massively upgraded it to complete the mission. Over 300 years, the probe gathered so much information that it achieved consciousness. But returning to its creator? That was a problem. And without its creator, the probe “finds its existence empty and without purpose” (thank you, Wikipedia). This monologue strikes me as describing the condition of humanity. And the questions V’Ger asks probably occur to any thinking person who has achieved what our culture considers success (even if that success is “just” a middle-class life). Is this you? It certainly was me. I had the middle-class success our culture sets up as nirvana — good career, satisfying relationships, disposable income with little debt. And yet it seemed superficial. Boring. Meaningless. I was a miniature V’Ger. If you’ve found yourself sometimes occupying this mental and emotional space, then be bold. Ignore the relentless call of our world and investigate the questions. That’s what I did. After much thinking, talking, reading and praying, I came to know there’s a Creator. Bigger than all humanity. Bigger than V’Ger. I came to know this Creator loves His creation — you, me and every other human being on this planet — but we had turned away from Him. So He offers us a gift, a way back to Him. That gift is Jesus Christ. Christianity teaches that Jesus sacrificed Himself to make up for all the wrong things we’ve done and all the right things we’ve failed to do. Because there’s no human way for us to do that on our own. Furthermore, if you give the Bible any credibility, consider that it tells us Jesus rose from the dead after three days, thereby destroying the permanence of death that we horribly imperfect humans brought on ourselves. When you accept the gift of Jesus, all this is open to you. The need is satisfied. The questions are answered. I love Star Trek, too! You have used the analogy of Vger seeking its creator with us being in need of the Lord so perfectly! Kudos and blessings, Frank!